Canelo Alvarez vs. James Kirkland close for May 2 in San Antonio? 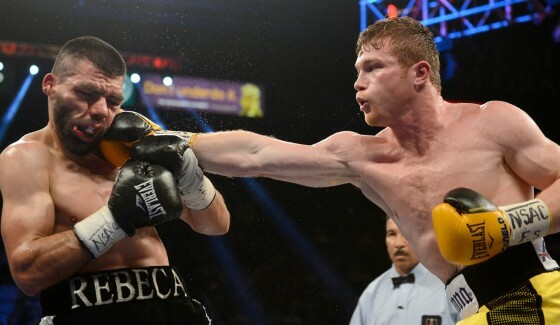 According to a report from Steve Kim at BoxingScene.com, it looks as though former junior middleweight champion Saul ‘Canelo’ Alvarez may be facing off with all-action James Kirkland on May 2 in San Antonio inside of the Alamodome. The fight is on the verge of being finalized, according to sources, and the news is surprising given how much hope people were having on Alvarez meeting up with Miguel Cotto on May 2 before those negotiations fell apart. Kirkland is a very formidable name, however, even if he isn’t as active as he could be. Troubles in and out of the gym have hindered Kirkland’s career, as he has fought just twice in nearly three years, with his last bout being his 6th round TKO victory over Glen Tapia in December of 2013.